ROOFTOP OUTING: Ald. 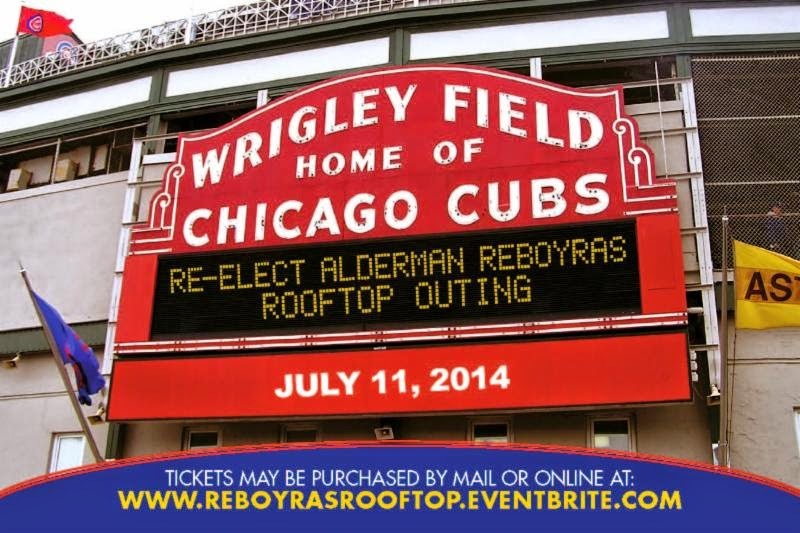 Ariel Reboyras, 30th Ward and Chairman, Committee on Human Relations, Re-election committee is hosting a Rooftop outing fund-raiser at 2 p.m. on Friday, July 11, 2014 at Wrigley Field, Home of the Chicago Clubs. The game Cubs Vs. Braves. Single ticket: $250. 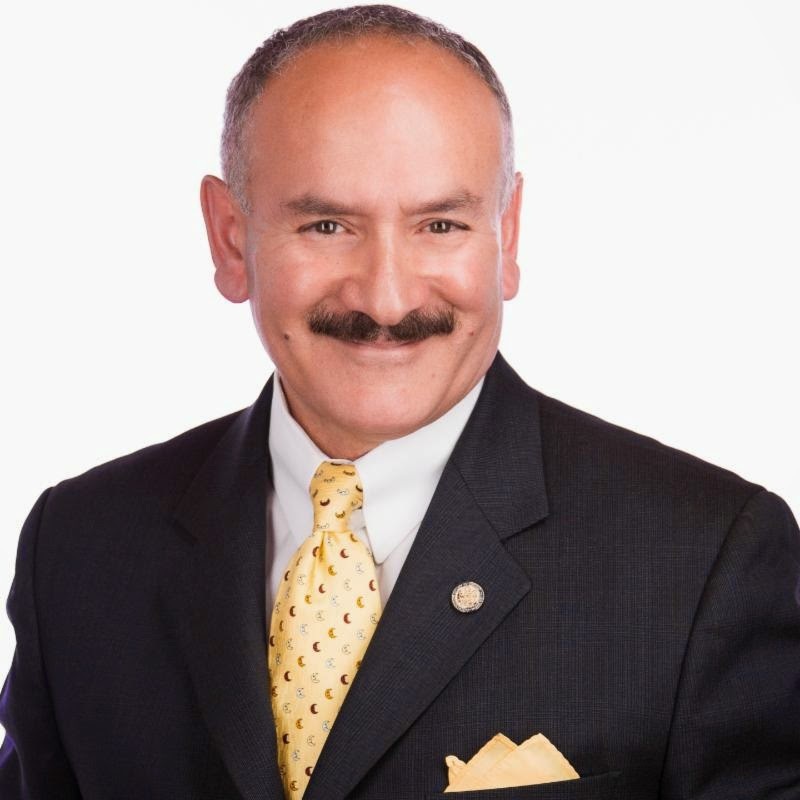 ALDERMAN Reboyras has been a strong advocate for businesses and residents of the City. He has worked tirelessly on issues regarding human rights and for our veterans. “Let's show Alderman Reboyras our support by joining him to cheer on the Chicago Cubs as they take on the Atlanta Braves”, a supporter said. HOST COMMITTEE: Honorable Pat Quinn, Governor of Illinois; Honorable Rahm Emanuel, Mayor City of Chicago; Honorable Joseph Berrios, Cook County Assessor; Honorable Luis Guitierrez, Congressman 4th District; Honorable Mike Quigley, Congressman 5th District; Honorable Iris Martinez, Illinois State Senator 20th District; Honorable Luis Arroyo, Illinois State Rep. 3rd District; Maritza Martinez, Candidate for Judge; Richard C. Cooke, Candidate for Judge; Frank Spula, President Polish National Alliance; Ed Kelly, Former 47th Ward Committeeman. ALD. REBOYRAS is one of the most popular, energetic and active alderman in the city. He learned to speak the Polish language to relate with his Polish constituency; he deserves to be re-elected. FOR MORE information or to RSVP please email citizensforreboyras@gmail.com or call 773/407-4732 or 773/853-2073. Make check payable to “Citizens for Reboyras”, P.O. Box 411951, Chicago, IL 60641. ACLU SAYS: The American Civil Liberties Union [ACLU] has produced a small brochure in English and Spanish with information on your rights. This information is not intended as legal advice. The following information is being reprinted from the brochure. THESE RIGHTS include: Your First Amendment rights—freedom of speech, association and assembly; freedom of the press and freedom of religion. YOUR right to equal protection under the law—protection against unlawful discrimination. YOUR right to due process—fair treatment by the government whenever the loss of your liberty or property is at stake. YOUR right to privacy—freedom from unwarranted government intrusion into your personal and private affairs. THE ACLU also works to extend rights to segments of our population who have traditionally been denied their rights. These include people of color, women, lesbians, gay men, bisexuals and transgender people, prisoners and people with disabilities. “If the rights of society's most vulnerable members are denied, everybody's rights are imperiled,” says ACLU. FOR MORE INFORMATION, contact ACLU of Illinois. Colleen K. Connell, Executive Director, 180 N. Michigan Ave., Suite 2300, Chicago, IL 60601. Phone: 312/201-9740. AMERICAN CIVIL LIBERTIES web page is www.actu.org.